You’re led to believe that you can simply sign up & begin earning money the very same day, but no doubt you’ll be pretty skeptical about the whole thing… So what’s the deal – is it really legit or is the Quantum Biz Code a scam that’ll just result in you losing money rather than making it? What Exactly Is The Quantum Biz Code System? 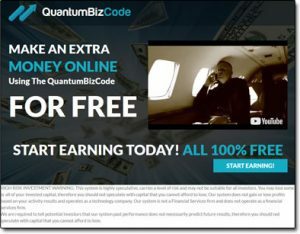 The Quantum Biz Code system has allegedly been put together by a man named Michael Crawford, and Michael claims that it can essentially provide you with an automated way to make lots of money online. You’re led to believe that pretty much all you need to do is sign up & that the system will do all of the work for you whilst you just sit back & enjoy the profits… But sadly in reality the whole thing doesn’t quite work like that. In fact I can tell you right from the off that the whole thing is just a big fat scam, and rather than being designed to help you make money like it claims, in reality it’s just make designed to make the creator money at your expense. The reason I can be so certain about that is because I’ve seen this exact same scam several times before launched under various different names. For example even though it’s now called the Quantum Biz Code, as shown in the image below you’ll actually see that it’s hosted at FreeAdCashSystem.com & that’s because it was previously called the Free Ad Cash System, which I exposed here on this blog. Some other names I’ve seen it operating under include Clicks Dealer, Banner Bit & the Gemini Software System. 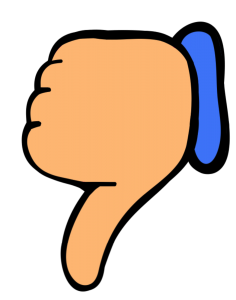 The reason the person (or people) behind it keep changing the system’s name is to try & escape the negative reviews so that they can continue scamming people out of their hard earned cash. How Does The Quantum Biz Code Work? Okay so firstly just in case you happened to scroll straight down to this part of the review let me re-iterate the fact that the whole Quantum Biz Code thing doesn’t actually work as promised. In reality it’s nothing but an ad flipping scam & there’s absolutely no way you’ll make money with it – instead if you do happen to deposit the likelihood is that you will just end up losing money (and potentially lots of it). The whole thing is literally built upon lies, for example right from the start you’re told several times that you can get started with the Quantum Biz Code system for free – yet just moments after entering your details (which I don’t recommend you do) you’re left to find out that you need to deposit a minimum of $250 to get started… So it’s absolutely not free at all. And as you likely know lies like this are a common trait of a get-rich-quick scam. So anyway the idea is that you sign up, deposit some funds & then invest in online advertising. From there you are told you have 2 options – you can either hold onto the advertising & earn an ROI, or you can sell the ads (known as flipping ads) for a profit. Now if you’re new to making money online or new to internet marketing then this might seem like a legitimate way to earn money, but let me tell you that the whole thing is just a flat-out scam & that there is NO way you can earn money “flipping ads” like they claim. In fact let me point out that I’ve been working in the online marketing industry for several years now & there’s literally no such thing as “flipping ads”. It’s just a hoax they’ve formulated to trick newcomers into investing money… Which they’ll then steal. You see the scam itself is pretty simple… They trick you into investing money, then they pretend that you’re actually making money to get you to invest even more… But when it finally comes to withdrawal time you’ll be left to realize the hard way that they don’t actually pay. Instead your withdrawal request will just get ignored or even point blank refused… Basically the guys behind the Quantum Biz Code & the other ad flipping scams are just out to take money from you, not help you make it. My Verdict – Is The Quantum Biz Code a Scam? Yes, in my opinion there is absolutely no doubt about it – the Quantum Biz Code is a flat-out scam & rather than helping you to make money like it claims the only thing it’s really been designed to do is take money from you. Based on my experience I can tell you that the “ad flipping” method they claim the system is based on is just total nonsense. There is absolutely no way you can make money like they claim & the whole thing is just a trick to part you with your hard earned cash. If you really want to make money online then there are plenty of legitimate opportunities out there like Wealthy Affiliate where you can actually get started for free. There is simply no need to invest large amounts like $250 with bogus systems like the Quantum Biz Code. So overall it’s safe to say I won’t be recommending the Quantum Biz Code system because I don’t believe you’ll find any value from it & like I say the likelihood is that it will just see you losing money. Is My Online Franchise a Scam? Read My Review Before Joining!